MUNICH (Reuters) - Siemens has made a last gasp appeal to European antitrust authorities not to be "backward-looking technocrats" and approve its planned rail merger with France's Alstom. Chief Executive Joe Kaeser said on Wednesday that Europe needed to stand together to compete with the United States, China and India. He said EU competition rules from the 1990s were from a different era that were now outdated. He said a merger of Siemens's rail business with Alstom's would be positive for the two companies and customers, but Kaeser also appeared to be resigned to the deal being rejected when the EU gives its decision next month. "It is naive to think individual European states can compete with China and America and at some point India, this is impossible," Kaeser told journalists at news conference after Siemens's reported its first quarter results. "Now it is up to the antitrust authorities to make a decision, and it will be interesting to see if the future of mobility in Europe will be determined by backward-looking technocrats or future-oriented Europeans," he said. The European Commission could give its ruling on the tie-up as early as next week. The plan could fail despite concessions from Siemens and Alstom to try to address antitrust concerns. The merger aims to create the world's second largest rail company with combined revenues of around 15 billion euros ($17 billion), still half the size of China’s state-owned CRRC Corp Ltd but twice that of Canada's Bombardier. However, the plan has met opposition since it was announced in September 2017. Kaeser said on Wednesday Siemens would not pursue the merger at all costs, and would accept the EU's decision. Siemens had options to develop its own rail business, he said, without elaborating. The German firm's main customers include Deutsche Bahn and Channel Tunnel operator Eurostar. In the first quarter, Siemens signed a 1.54 billion euro deal to supply London Underground with 94 new trains. During its first quarter Siemens reported weaker-than-expected industrial profit, as problems persisted at its power and gas business which has hit by collapsing demand for large turbines. The company's stock was down 1.2 percent in early trading. Profit halved at its Power and Gas business, although the downturn was partly balanced by an improvement in profit at Digital Factory, the company's automation unit. 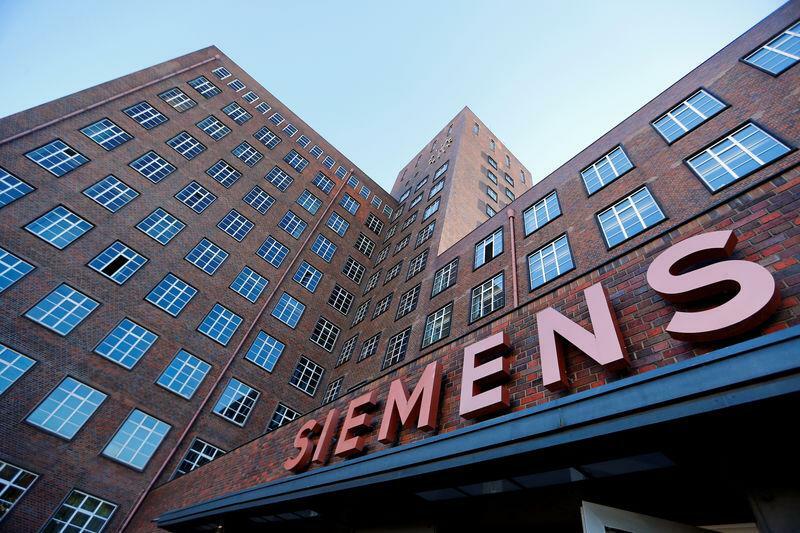 During its fiscal first quarter, Siemens posted a 1 percent rise in group revenue to 20.12 billion euros, falling short of forecasts for 20.32 billion euros. Orders rose 12 percent to 25.17 billion euros, beating expectations. The company maintained its guidance, expecting moderate revenue growth in 2019 when currency swings and acquisitions were removed. It said it also expected a profit margin of 11 to 12 percent from its industrial business. It said it still expected basic earnings per share (EPS) from net income in the range of 6.30 to 7.00 euros, excluding severance charges.